Peter Machan – Local Author and Historian provides an illustrated talk on the Archaeological Excavations at the Manor Lodge 1969 – 2012. 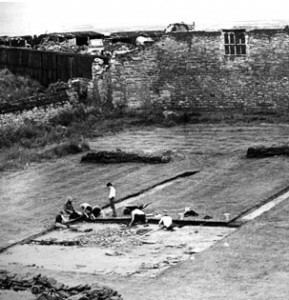 A unique look at work carried out at the site of Sheffield’s other major site of interest and partner dwelling to Sheffield Castle and a rarely provided talk on the research carried out on what may have originated as a medieval hunting lodge. Please don’t talk about secret tunnels! 7-30 at the Central United Reformed Church – Corner of Norfolk Street/Chapel Walk-finish 9pm – Refreshments available. Do you need to book beforehand for these talks please? It would be sensible to book in advance, you can do that by e-mailing bigronclayton@hotmail.co.uk.